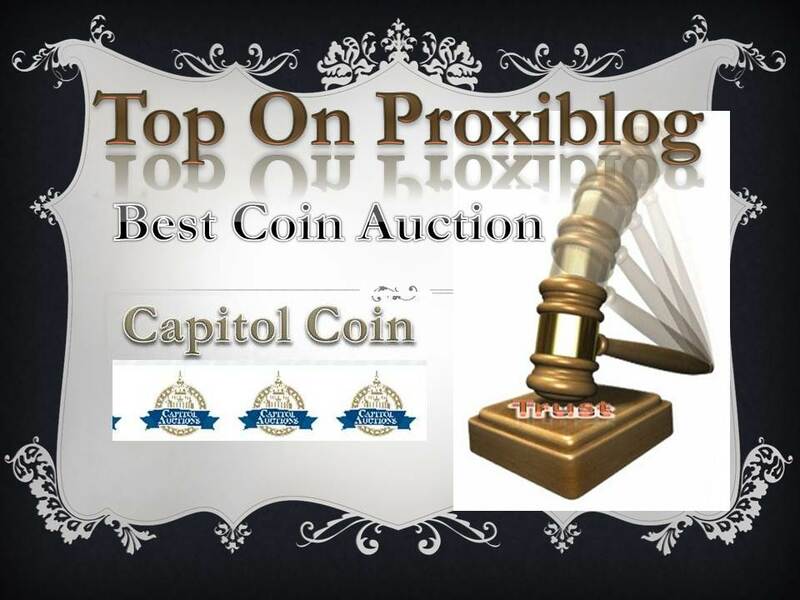 Capitol Coin Auction has won our award for “Best Coin Auction” on the Proxibid portal, garnering “Best Shipping,” “Best Photography,” and “Value Added” honors with honorable mentions in “Best Descriptions” and “Best Consignments.” This is the second year in a row that Capitol Coin Auction has won the top honor. The houses above are runners-up in our “Best Coin Auction” category. We encourage all of the houses named above to continue improving in the spirit of service, competition and community that all auctioneers and numismatists share, serving our clients and memberships. Continue to embrace the ethics of both the National Auctioneers Association and the American Numismatic Association. We also thank Proxibid for its Internet options, quality control and customer service and all houses specializing in coins. We encourage them to visit these award-winning houses above. We know there are some houses that we missed in our rankings; as always, our experience may differ from yours and you should consider these award-winners our favorites. In sum, we did the best job we could with the available data and hope that you will continue visiting our site and interacting with our clientele, now exceeding 26000 views since inception. Finally, consider making a donation to our Scholarship Account. (See details on top of the “Rankings” sidebar to the right.) We will continue publishing Proxiblog free of charge and covering Proxibid and the online coin auction industry. Won’t you consider making a voluntary donation to offset tuition expenses for our college students? This entry was posted in TOP Awards and tagged Back to the Past Collectibles, Black and Gold Auctions, Capitol Coin Auction, decatur coin and jewelry, Engstrom Auction, Fox Valley Coins, Gary Ryther Auctioneers, Heuckman Auction, James Peterson Auction, Jewelry Exchange, Leonard Auction, McKee Coins, Meares Auction Group, Midwest Coins, Rolling M. Auctions, Schultz Auctioneers, SilverTowne Auctions, Southwest Bullion and Coin, Star Coin and Currency, Weaver Coin and Signature Auctions, Western Auction. Bookmark the permalink. And you see that where?